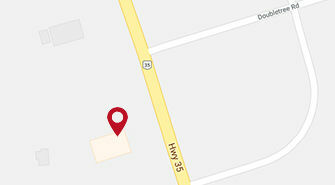 At Lindsay Kia, we're always looking for ways to keep our customers happy. That's why our special offers are designed to help you save money where you can. 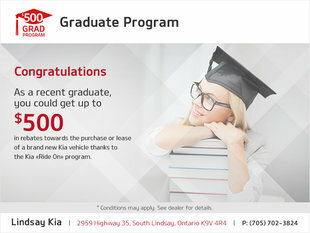 Whether you're in the market for a new Kia vehicle or are bringing in your vehicle for service, the special offers that we have at Lindsay Kia will be sure to make you happy. 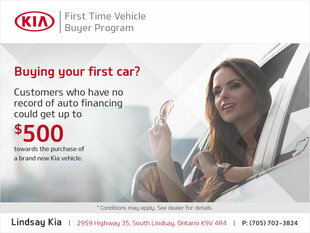 When you come into Lindsay Kia for your next Kia vehicle, check out our special offers first. 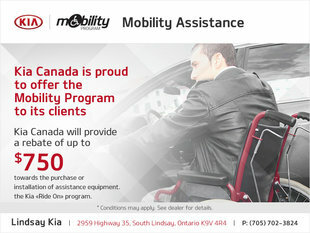 These offers are updated regularly and help make your next vehicle more affordable. 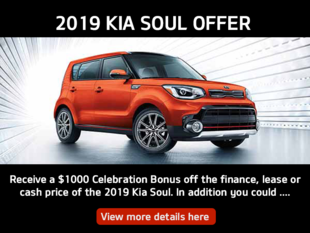 Whether you're in the market for a new Kia like the Soul or for one of our quality pre-owned vehicles, our special offers will help make your next vehicle more affordable. Our special offers are also designed to help you save on our quality after-sales services as well. From our body shop to our service centre, our special offers are there to help you save. When you bring in your vehicle for servicing, you can trust that you're getting reliable work and with our special offers at a price that will make you look twice. 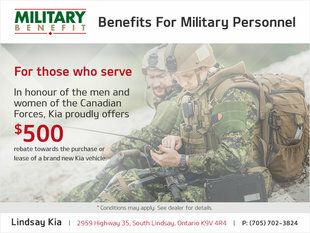 Come into Lindsay Kia today and see how we can help you save.